Set in the salubrious suburb of Double Bay, Dr Richard Sackelariou's cosmetic surgery practice needed a website that was as sophisticated as the clientele he was servicing. 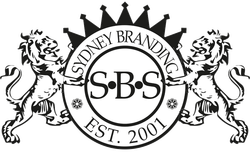 Sydney Branding Services designed and built a minimalist clean looking site with nothing to detract from the message and images of successful procedures. Incorporating simple flash galleries that hide the images from view unless required the website is an example of how a non CMS website can still achieve the objectives of ranking well in search and doing the job it is meant to do.